Hot new couple alert! Earlier this month, the Hollywood rumour mill went into overdrive, amid reports country singer Taylor Swift was dating heartthrob actor Jake Gyllenhaal. And now the new romance has finally been confirmed, after the loved-up pair were spotted enjoying a romantic winter outing over the weekend. The unlikely couple were first spotted together back in October, with insiders all claiming the A-list pair were secretly together. 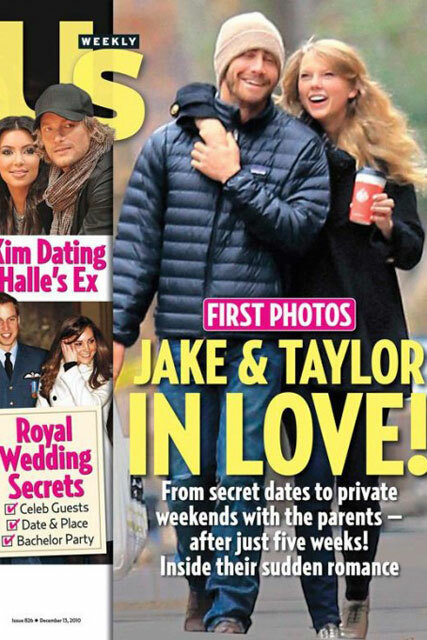 Since then Jake and Taylor have been spied out and about on a number of New York dates, but have so far kept quiet on their budding romance. Now it seems the hot hook-up has been well and truly confirmed, after the lovebirds were spied giggling and canoodling during a romantic winter outing. It’s thought they spent Thanksgiving together, and even visited both sets of parents, before taking time out for a romantic stroll. And we must admit, the good looking pair make a great couple, and looked happier than ever as they stepped out. Earlier this month, it was rumoured Jake treated Taylor to a whopping $160,000 date, chartering a private jet to fly her over to the UK (where he was promoting his latest flick) just so they could spend a few special hours together. What are your thoughts on Hollywood’s hottest new couple? Let us know your thoughts in the comments bob below.